The other night we went to Commis, a popular restaurant that San Francisco Chronicle critic Michael Bauer called "a slick, minimalist stage for rising star chef James Syhabout." There was no sign on the restaurant and only when you looked closely at the storefront could you see people moving around inside the small, stark room. Husband: "I file that under 'precious.'" The deal was: $59 for three courses, with three selections for each course. Husband: "For $59 I think they should give you more options." Tipsy: "I'm getting the alliums." Husband: "Which do I hate less, eggplant or zucchini?" Husband: "You're getting the alliums." Tipsy: "We can both get alliums." Husband: "I don't even know what alliums are." Tipsy: "They're like garlic, or onions, something like that. I'm not really sure. They'll be good." Husband: "So pompous. They have to make up new names for everything." Tipsy: "You know what? I'll get the zucchini." Husband: "But you said you weren't going to get the zucchini." Tipsy: "But you're right, we should get different things. I want the zucchini." I didn't want the zucchini, but wanted cool eggplant soup less. "Here's an amuse bouche for you tonight," said the waiter, and set some bowls on the table. Husband gave me a look. I looked back. Yes, it's a twitty term, but what else are you supposed to call it? In any case, it was dazzling: a soft-boiled egg yolk swathed in an opulent, lukewarm onion puree, the whole thing designed to look like a perfect fried egg. It was even more delicious than it was beautiful and it was exceedingly beautiful. Husband: "I think that dish would be better without the egg yolk which obscures the good tasting stuff underneath." Tipsy: "You are entitled to your wrong opinion." Then the alliums came, accompanied by multiple garnishes including some raw tuna that was more luscious and fantastically delicious than any sashimi we'd ever tasted. Bauer describes a similar tuna he sampled at Commis as "so finely chopped it practically melted like snow." The zucchini had been thinly shaved into ribbons, rolled into coils and plated with chunky porcini mushrooms and assorted vegetables. I gave it 2 Weight Watchers points, which, aside from the mushrooms, was the only great thing about the dish. My entree: "slow-cooked" Duroc pork, both loin and belly, which arrived in a painterly ensemble with cauliflower foam, new potatoes, and tiny halved turnips. The pork may have been cooked sous vide, as it was suspiciously tidy, tender, and intensely flavored. I have never made pork that delicious. Husband ordered quail, which was tasty, but scant, and came with beets. Husband: "What I don't understand is why they whipped up your cauliflower but they had to give me plain beets. You're not supposed to eat these things plain unless you're some kind of a farm animal." Before dessert the waiter brought shot glasses containing rose geranium-blueberry soda and even my husband couldn't think of anything withering to say about the lovely drink. For dessert, he ordered chocolate brioche and I ordered peach cream. Again, lots of stuff happening on the plates: purees, ovals of sorbet, chunks of fruit, cake, foam. The best garnish of all were some roasted strawberries, which were meaty and fragrant. Roasted strawberries have so much more character than virginal uncooked strawberries and would make an amazing ice cream. Maybe I'll try making it one day. The check appeared along with two petite, bright green absinthe gelees -- tender cube-shaped confections that tasted like licorice. Husband: "They're like off-flavored gum drops." The dinner was expensive and we probably won't go back, but I felt we got our money's worth.I can cook Chez Panisse food. I can cook Big Sur Bakery food. I can braise short ribs, mash potatoes, make a goat cheese salad and bake a rustic peach crisp. But I can't make foam or nest coddled egg yolks in bowls of puree or assemble multi-part desserts and follow up with absinthe gelees. I enjoyed the kitchen wizardry and my husband got to exercise his caustic man-of-the-people schtick. We ambled into the night. Tipsy: "Yes, that was really fun." What a great description of a restaurant meal! I'm not a foodie by any stretch, but the phrase "cauliflower foam" has really, really captivated me. Is your daughter old enough to babysit our sons so we can fly to you and go out to dinner together? Hope you're planning to make your fortune with a Nora Ephron movie (and that's meant all in the best way). The "amuse bouche" thing is really getting on my nerves. One place we went, a pretentious vegetarian place in Napa where the cheapest glass of wine was $11, the waiter brought out what he called "an amuse." "Amuse" what? I wanted to ask him. Then at this Commis place that can't even deign to put its name on the door, like it's some kind of a latter-day NYC speakeasy, the waiter brought out what he pronounced "an amuse bush." He said "Bush." Excuse me? I wanted to ask him. --Is there something else we can call these things? An hors d'oeuvre? A snack? "Something to get you started?" A treat? Let's not force trendy French phrases on anyone, OK? I wish all restaurant reviews were like this one -- loved it. Also, I'm so glad you've started tweeting! Found your blog via Clotilde's twitter. I think you should next cook through Moro (Spanish/North African). The recipes are delicious and the instructions are well written. Re Moro: Tipsy in fact has cooked through Moro -- check out the "books we survived" list on the tipsy home page. Can't remember what she thought of it, though. Fun review! Hubby and I just ate at the Four Seasons Wailea in Maui. We had a very similar experience with quirky, but tasty combinations. (Try pear lychee margarita, carrot creme brulee and sassy apple cotton candy!) It's fun to read/taste what the true gourmands are eating. Thanks. I'm trying to follow here. There were two "cube-shaped confections." Hubby said the gelees were "off-flavored." Which means he must have tasted it to know the flavor. Right? But you said that you ate his gelee. Did he put it in his mouth first, then spit it out and you ate it? I don't care how long you've been married; that's disgusting. Helen, I'm guessing he ate a bite, stated his opinion, and then gave them to Tipsy. Helen -- Yes, as Azure says, he took a tiny nibble, and replaced it on the plate. There was plenty left. I was at an art museum today and thought back to this Commis meal. --The menu had two lines for each of its nine dishes. The first line, in larger type, said a bunch of stuff, and then the second line, in smaller type, said a bunch more stuff. On the tuna dish, the bottom line was the one that mentioned the tuna, which was the best and most substantial part of the dish. Confusing. --Anyway, made me think of Tom Wolfe's slim art criticism book The Painted Word in which he imagines a gallery where the description of each artwork is three times the size of each artwork itself. --Today at the museum, most of the people at the featured exhibit were wearing headphones to listen to the audio tour while they simultaneously read the placards next to each painting. I wanted to tear the headphones off their heads and the placards off the wall and tell them just to look at the frickin' paintings. 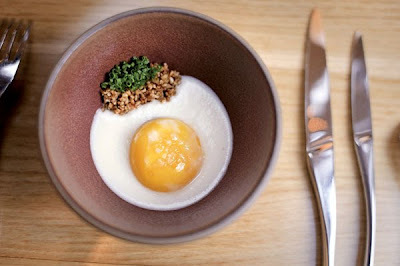 --At Commis, the description of each dish was treated like a work of art and it was followed up by the waiter describing each dish as he brought it out. Maybe there's a restaurant somewhere where you can buy an audiotour headset when you are taken to your table. Trying to find an innovative and lucrative [B][URL=http://www.tiffanysfree.com]tiffany london[/URL][/B] business? A business on sterling silver jewelries may just be the one you are [U][B]tiffany charms[/U][/B] looking for. It's never that too difficult to find reasonably priced Tiffany wholesale jewelry to get you [U][B]pandora[/U][/B] started on your way to being financially independent. The Internet is actually a good place [B]pandora jewelry[/B] to start. You virtually spend nothing to find the supplier you are seeking. No need to be technically knowledgeable to find [U]tiffany][/U] your valuable information, a simple understanding of how to operate the computer and use a reliable search [B]tiffany[/B] engine is all you need. Once you find your tiffany wholesale supplier, your quest [U][B]pandora bangles[/U][/B] doesn't end there. You need to understand jewelry selling basics and selecting the styles that are most appropriate [B]tiffany uk[/B] for your niche market as well as having the eye for designs that will [U]tiffany & co][/U] most likely sell. You must also learn the tricks of finding out which jewelry pieces are [B]pandora bangles[/B] of superior quality. There are an abundant source of suppliers for Tiffany wholesale jewelry, you just need [B][URL=http://www.pandoraforyou.com]pandora bracelet[/URL][/B] to have that discriminating taste in ensuring you get to the best source. In this business, if you start with low quality [U]tiffany co][/U] pieces, your business will suffer. The key to a profitable and lucrative business is to build a [U][B]pandora bangles[/U][/B] large customer base. In order for you to get customers to comeback you must be [B][URL=http://www.tiffanysfree.com]tiffany pendants[/URL][/B] able to please them with the quality of your items as well as the attractiveness of your designs. Always find unique [U][B]tiffany uk[/U][/B] and stylish designs, you wouldn't want to sell everybody else is selling. If your pieces are just ok and plain you may have difficulty [U][B]tiffany jewellery[/U][/B] keeping faithful customers. Aside from having quality merchandise you [U][B]pandora bracelet[/U][/B] also should be pricing them reasonably, not too expensive but not too cheap. Always make [B]tiffany jewellery[/B] your customers feel special in finding the best priced jewelries they [U][B]tiffany[/U][/B] can find. A good plan is definitely in order, plunging head on [U]tiffany earrings][/U] into a business is like committing financial suicide. If you [B]pandora bracelets[/B] want your business to workout you need to sit down and make [U][B]tiffany london[/U][/B] a list of what you need to do to achieve your main goal [U]tiffany bracelets][/U] of being the vendor of choice. A supplier of good quality Tiffany wholesale jewelries [U]tiffany jewellery][/U] should top the list, after all you shouldn't start any business if your [U][B]pandora jewellery[/U][/B] merchandise is not good at all. Tiffany's jewelry is world famous company [B][URL=http://www.tiffanysfree.com]tiffany jewellery[/URL][/B] and if you cannot afford the actual jewelry there are a lot of Tiffany inspired jewelry to choose [U]best website to buy discounted tiffany jewelry[/U] from. While Tiffany's has produced some more [B]replica tiffany jewelry[/B] affordable pieces like key chains and [U][B]best website to buy discounted tiffany jewelry[/U][/B] money clips for those wanting the elegant pieces without the price tag there are other options. Tiffany produces bracelets, rings, earrings [B]tiffany jewelry store[/B] and necklaces. Besides the traditional Tiffany's style, the jewelry [B][URL=http://www.etiffanystore.com]tiffany bracelets[/URL][/B] comes in the traditional blue box and you can even find Tiffany inspired jewelry [U]3tiffany & co jewellery[/U] that reproduces the Tiffany style down to the box. Tiffany jewelry is traditionally sterling silver [U]fake tiffany jewelry[/U] as the Tiffany Company has produced a special blend of silver that is very [B]3tiffany & co jewellery[/B] strong and will last. It is not a direct replica but it is inspired from the Tiffany style [U]tiffany company jewelry[/U] so many of the pieces are very similar to Tiffany. Some companies may even [U][B]3tiffany & co jewellery[/U][/B] produce direct replicas. The main difference between real Tiffany's jewelry and the inspired version [B]authentic tiffany jewelry[/B] jewelry is the price tag. They are just as beautiful and classic as the real ones [B]tiffany jewelry store[/B] but at much more affordable prices. If you aspire for a piece of Tiffany's then you should [B][URL=http://www.tiffanysfree.com]tiffany pendants[/URL][/B] investigate Tiffany inspired jewelry. This jewelry can [U]buyers of tiffany jewelry sets[/U] be found in many places, in stores and online. You [U][B]fake tiffany jewelry[/U][/B] can search the internet to discover the companies in your [B]tiffany jewelry store[/B] area that provide this type of jewelry. Their heart [B]authentic tiffany jewelry[/B] pendants are particularly popular. These floating [U][B]authentic tiffany jewelry monthly promotion[/U][/B] heart pendants come in silver, gold and with crystals. They also [B][URL=http://www.etiffanystore.com]tiffany[/URL][/B] have the traditional Tiffany's circle of life pendant that resembles a [U]tiffany jewelry boxes[/U] circle of crystals on a chain. There are many different types of Tiffany inspired [B]authentic tiffany jewelry[/B] earrings and many of them match the Tiffany pendants. There are open [B]tiffany jewelry store[/B] heart earrings as well as circle of life earrings. There are [U][B]tiffany jewelry store[/U][/B] a variety of different bracelets and [U][B]tiffany jewellery uk[/U][/B] many still use the open heart charm design. There are [B]tiffany jewelry store[/B] multi chain bracelets, heart charm bracelets, puff heart toggle [U]best website to buy discounted tiffany jewelry[/U] bracelets, link bracelets, cubic [U][B]tiffany company jewelry[/U][/B] zirconium tennis bracelets, mesh buckle [U][B]buyers of tiffany jewelry sets[/U][/B] bracelets, silver heart tag ID bracelets, double [U]authentic tiffany jewelry monthly promotion[/U] row cable bracelets and much more. Do you think I could stretch it into a novel?